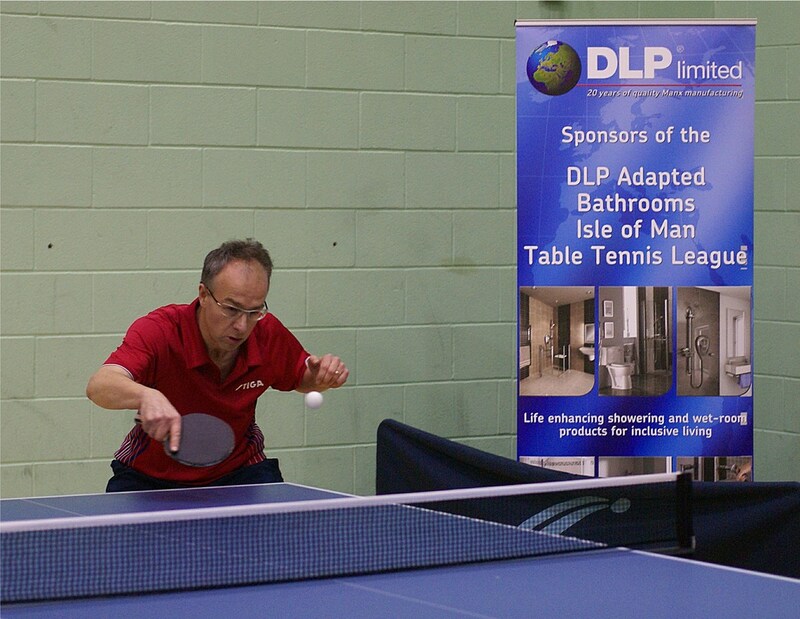 In the DLP Adapted Bathrooms sponsored Isle of Man Table Tennis League Copy Shop A returned to the top of Division One following a convincing win against Strathallan A. Arbory are now in second spot seven points behind but with a game in hand. Surestrike Ramsey A enjoyed a narrow victory over bottom-placed Tower A which enabled them to pull level on points with fourth-placed Travellers A who have played one less game. The teachers from King William’s College are five points clear at the top of the Third Division with two games in hand. Now in second-place Copy Shop D, who narrowly missed out on promotion in the past two seasons, played and beat Tower C 6-4 to move two vital points clear. Copy Shop were due to play top-placed Arbory but the match had to be rearranged as it clashed with Arbory’s British League fixture. Consequently, third-placed Strathy stepped in. Both Sean Drewry and Ronan McDonnell hit hat-tricks for Copy Shop. Drewry dropping a set to Andy Horne and McDonnell did similar against Julian Briercliffe. Strathy’s only success was Andy Patterson’s 11/8, 3/11, 13/11, 9/11, 12/10 nail-biter against previously unbeaten Paul Corrin. Division Two’s top player, Tim Baker, played up for fifth-placed Surestrike Ramsey A and walked away with a hat-trick by beating Paul Kozlowski 11/8, 11/8, 7/11, 10/12, 11/8 and then Mike Bayley and Graham McFarlane in straight sets. Tower’s trio all took a point off young Wael Kassim and Kozlowski added another by defeating Rhys Yardley who had earlier beaten Bayley and McFarlane. Copy Shop’s Zac Walker beat Barry Jenkins and Heather Kennett but his hat-trick hopes were thwarted by Barry Jenkins in a thrilling five setter. Similarly, whilst Billy Coulter defeated Kennett and beat Jenkins 11/6 in their fifth set Tower’s Margaret Forsyth and her old pimples out hard bat caught Coulter 11/7 in their fifth set. Tower’s other two points came against Jack Christian who rebounded to win the match for Copy Shop by beating Kennett. Walker and Coulter needed another close five setter to wrest the doubles away from Forsyth and Jenkins. Team Yardley took all ten points against the youngsters from JD. Lilly Byrne secured a set off Dylan. Victoria Watson lost a tie-breaker 11/13 against Alex. Lauren Allwright did similar 12/14 against Ramsey’s captain Jack. Byrne and Watson were briefly winning in the doubles but Alex and Dylan came back 8/11, 11/7, 11/9, 11/9. Coach Jane Kneale had to step in so three points were soon secured for sixth-placed Copy Shop F. Cameron Dudley added two more with wins over Sally Green and substitute Victoria Watson who also lost to Josh Dudley. Green got off the mark with a win over Josh. Surestrike’s Tyler Hannay did the double over the Dudley’s and defeated them again in the doubles which he and Green won 11/7, 11/9, 7/11, 11/5.